Since the 2015 Ford F-150 came out, people have been asking if its unprecedented aluminum construction translates to higher repair and insurance costs. Well, thanks to the way insurance premiums are calculated the definitive answer is "no." At least, for now. After looking through TrueCar's study on average car insurance rates by model, I got to comparing quotes on different trucks. The 2015 F-150's rates are pretty much the same as every other comparable model, which struck seems strange after seeing Edmunds get slammed with a massive repair bill after bludgeoning their own aluminum F-150 with a sledgehammer. Didn't TrueCar's study just explain that "cost of repairs" and MSRP were huge factors in determining insurance rates? Isn't the new F-150 a very expensive vehicle that reputable sources are saying will be expensive to repair? Yes, but it doesn't matter.because insurance companies base their quote prices on historic claims. And historic claims for a 2015 F-150 are based on the 2014 F-150; a traditional steel vehicle with far fewer fancy (costly) features. 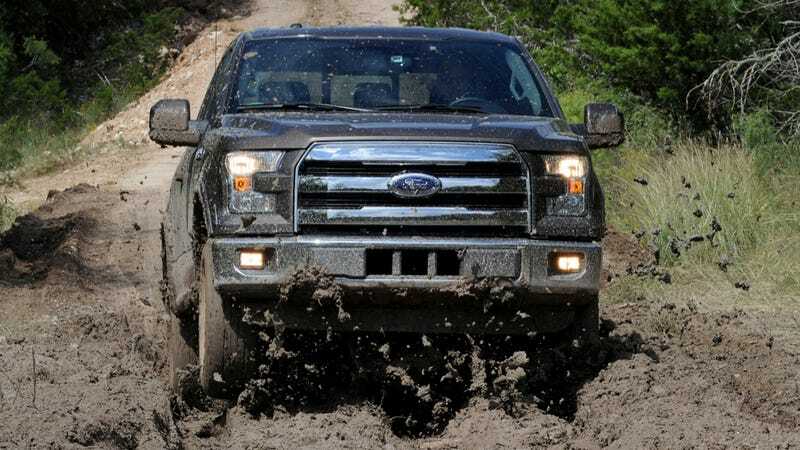 "Regarding the Ford F-150 costs and what may be more expensive repairs due to the changes to it, we have not yet seen the increase in rates for the vehicle because the insurance companies don't yet have the claims data to back this up." "Because the truck's changes are so new, the insurers have their previous claims experience to go off of for the rates we were given. If claims start to cost more to insurers for the F-150, due to pricier repair costs, then I'd expect to see the rates go higher for it in the future. The insurance companies first need their claims experience data to show the need to increase rates for the vehicle." Insurance companies don't have any data on what a 2015 Ford F-150 actually costs them to insure, so all they can do is base your price off what they charged on last one. And how often does a vehicle this mainstream undergo such a dramatic shift in fundamental construction? Hardly ever. That's why we're seeing so many headlines about this truck and why this hasn't been an issue many times before. It makes much more sense for an underwriter to use known data in risk assessment rather than sensational headlines as "predictions," but in this unique instance it basically means you could be getting an amazing deal on F-150 insurance if the truck does turn out to be more expensive to fix than the outgoing model. And when those claims roll in, then we'll really know the true cost of insuring it.